Less a tasting, more a “sensory experience” – burning peat, brine and dry ice sea fog effects, glasses filled with coffee, pepper, vanilla and strawberries were all on hand, and Donald Colville used these to prompt the mood and flavours of the whisky we were tasting. Beyond simply how the whiskies taste, these two releases raise intriguing questions: why were they created and, since they have become permanent fixtures in the distillery’s portfolio, do they make sense as part of the ongoing Talisker range? Essentially Talisker is an acoustic whisky; not some off-key subway busker collecting small change from passing commuters, but a finely tuned, virtuoso player collecting plaudits from an enthralled audience. Okay I admit it, I like Talisker. The trouble is, off the west coast of Scotland, it’s surrounded by a bunch of head bangers, and noise to malt lovers is as tinsel to the magpie – irresistible. To use the industry vernacular, Storm is a “dialed up” Talisker; that is to say the primary components of Talisker – smoke, brine, sweetness and pepper spice – have been intensified to quite an explosive degree. This is no accident either, the Talisker team has deliberately gone after this style and its addition to the permanent range suggests that they can replicate it indefinitely. Perhaps more than anything amongst Scottish distillers, it is the understanding of the science behind wood maturation that has improved exponentially over the last 20 years or so. This knowledge has been applied carefully to Storm. With the younger component, Talisker has selected loose grained, heavily charred ex-bourbon barrels that in effect both accelerate the ageing process and leech maximum flavour into the malt. This combined with traditionally matured older components, results in a whisky with impressive intensity. On the up-side then, vanillin sweetness, bonfire smoke and the piquancy of white pepper are plentiful, unmistakable and unmissable. On the downside, so is a somewhat raw quality to the wood emerging at the finish. Port Ruighe (pronounced Port –ree) is the old Gaelic for Portree, the principle port and town on the Isle of Skye that lends its name to this, the latest expression of Talisker. Its creation is an homage to the historic Scottish trading houses, their part in the creation and development of the Port industry and the maritime traditions that go with it. Storm and Port Ruighe, although completely different liquids, are linked by a common theme; neither has an age statement, as both contain young fresh whisky alongside old. After final blending Port Ruighe is racked into Port pipes (casks) for a second maturation (or finish) for a period of six months. Talisker is no stranger to double maturation. The Distillers Edition, in which the second maturation is in casks originally containing sweet Amoroso (Oloroso) Sherry, has been a feature of the Diageo stable for quite some time. Port Ruighe certainly exhibits a clear Port influence. 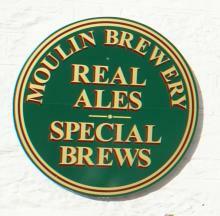 On the nose it has a gentle restraint, red fruits mingling with vanilla, smoke, sweet spice and chocolate. In the mouth it’s fleetingly and extremely winey, almost limpid in texture, but things quickly change. The whisky gathers pace, the texture turning oily with pronounced sweetness and bonfire smoke, and as the intensity of earthy black pepper builds so it subsides to a strawberry liqueur and rose water finish. Malt whiskies without age statements (NAS as they’re known in the trade) are viewed with suspicion by the aficionados, often with good reason. Too many have been marketing driven, cynical attempts to disguise and profit from high proportions of youthful whisky in the final blend. That’s not the case with either Storm or Port Ruighe. Both are complete, well thought out, well executed liquids. 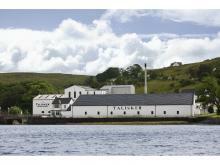 That said, it doesn’t mean they are completely successful, at least not in the context of Talisker. It’s a personal opinion, but in exactly the same way that Talisker’s Distillers Edition succeeds, Port Ruighe falls a little short. Talisker Distillers Edition, finished in used Amoroso (Oloroso) sherry casks, matches complementary flavours - caramel with salt, figgy sweetness with malt sweetness and an orangey tang with smoke (think fine Earl Grey Tea) - but importantly the essence of Talisker remains intact throughout. In Port Ruighe, the young red fruits coming from the Port pipes meet Talisker’s smoke and it’s not a happy match. More importantly, the second maturation somehow dilutes Talisker’s natural salinity, tampering with its DNA to the extent that it’s tough to see a family likeness. Storm though, for all its carefully crafted noise, is far more true to its breed and it’s this impeccable lineage that makes it a logical and I suspect welcome permanent addition to the Talisker family.